Posted On March 18, 2017 by Team iCynosure. Sacramento, California's capital city, is at the intersection of the Sacramento and American Rivers. Known as America's Most Diverse City, Sacramento boasts cultural attractions that inspire, cutting-edge cuisine that impresses, a history that enriches, and amenities that surprise travellers who venture into the city. The city has grown from a sleepy cow town to the Farm-to-Fork Capital, and Sacramento now goes by the tagline, 'California begins here'. Sacramento has beautiful sunshine for over two-thirds of the year, making it a perfect outdoor destination to explore. The city enjoys a Mediterranean climate with warm, dry summers and mild, wet winters. Although it is pleasantly mild throughout the year, the summers from June to August become quite warm. However, the low humidity keeps the climate quite comfortable even as the temperature rises. Sacramento has an extensive public transportation system with over 37 miles of light rail and 20 miles of bus services that connect to numerous destinations. Alternatively, many tourists prefer to explore the city on foot, as the grid numbering system makes navigation easy. However, the most convenient way to get around Sacramento and the surrounding suburbs is by car. Travellers can book parking spots in advance with SacPark. Sacramento has plenty of events to attract visitors year round. Since there's something going on at all times, the city offers numerous accommodation options, from five-star hotels to budget-friendly rooms. Travellers can choose from over 1,000 hotels, such as the luxurious Hyatt Regency or Sheraton Grand or the budget-friendly Hampton Inn and Suites or Courtyard by Marriott. Travellers can also book boutique hotels or bed and breakfasts via Hotel Planner. With so much to do in Sacramento, you may have to narrow down your list of attractions. Here are five things that travellers must make time for during a visit to Sacramento. The 28-acre National Historic Landmark District pays homage to the Gold Rush of 1849. The district is usually buzzing with activities around the museums, entertainment acts, dining experiences, and shopping escapes. The wooden sidewalks, horse-drawn carriages, and historical characters offer a glimpse of 19th-century life. The annual Farm-to-Fork event in Sacramento is a celebration of the region's food and beverages. The celebration isn't confined to dining experiences. Instead, it features farm tours, cooking classes, farmers markets, al fresco dinners, and wine tastings. 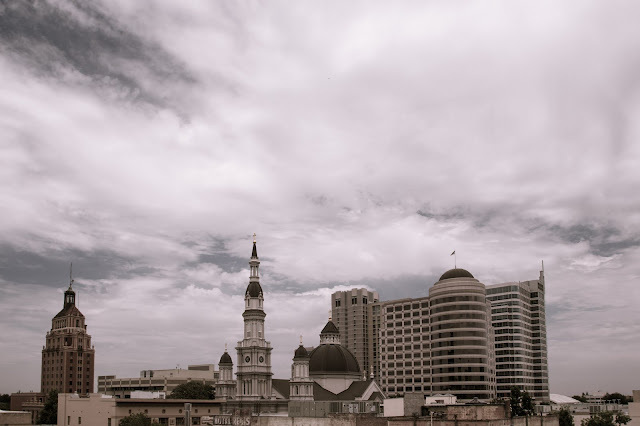 Sacramento's history is one of adventure, ambition, and hard work. The city's numerous state-of-the-art museums and historic sites capture its past beautifully. Walk down memory lane to experience the area's history and diversity. The Sacramento Zoo offers an enriching day filled with learning, laughter, and exciting experiences. Your visit could include encounters with exotic animals, fun rides, overnight safaris, and guided zoo tours. A 3.5-acre children's play park, Fairytale Town brings fairy tales and nursery rhymes to life. It inspires imagination, creativity, and literacy. This storybook park has 25 bright, colourful play sets and offers the perfect backdrop for children to perform their favourite stories. In addition to these must-visit, must-experience things on my travel itinerary, there are loads of other interesting attractions in Sacramento. Are you excited enough to plan your trip?